Rarely in debates and surveillance and privacy does anyone actually explain where the NSA, Facebook or Google keeps your data. The NSA has your data. Facebook has your data. 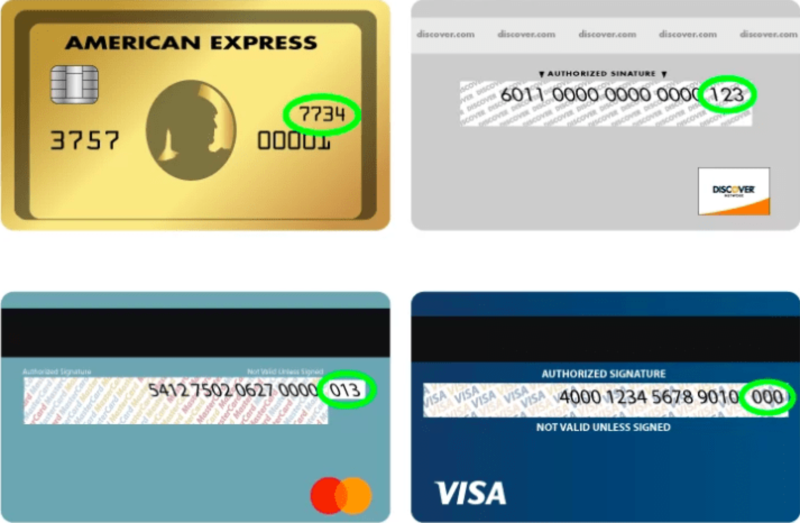 Google has your data. By now these are familiar tropes in a familiar debate. Rarely in that debate, however, does anyone actually explain where the NSA, Facebook or Google keeps your data. The usual shorthand is “in the cloud” — which is to say on a server somewhere, connected to other servers. While technically accurate, this highly marketed metaphor hardly sheds light on where our data resides. One imagines metadata floating, like a thought bubble in a comic strip, away from a personal computer to some impossible destination that is at once everywhere and nowhere in particular. But information about our habits, contacts and preferences must live somewhere. Last fall I decided to go see where. Going to data centers to understand mass surveillance is, admittedly, like studying rook design to understand chess. These storage spaces are just one piece of an apparatus; data accrues meaning as it’s used, and we tend to forget the significance of how it’s stored. But Internet infrastructure is in specific places for specific reasons: natural resources, local politics, economics and even the history of the Internet itself. The hidden geography of data is folded into a larger terrain of corporate and state power. I hoped that learning more about the former might offer some insight into how we perceive — and potentially challenge — the latter. First, I had to figure out which data centers to scope out. The companies that operate these spaces vary widely in their approaches to transparency. Some are very open, allowing clients to tour the facilities, while others are much more secretive, citing security concerns, and don’t even provide public addresses. 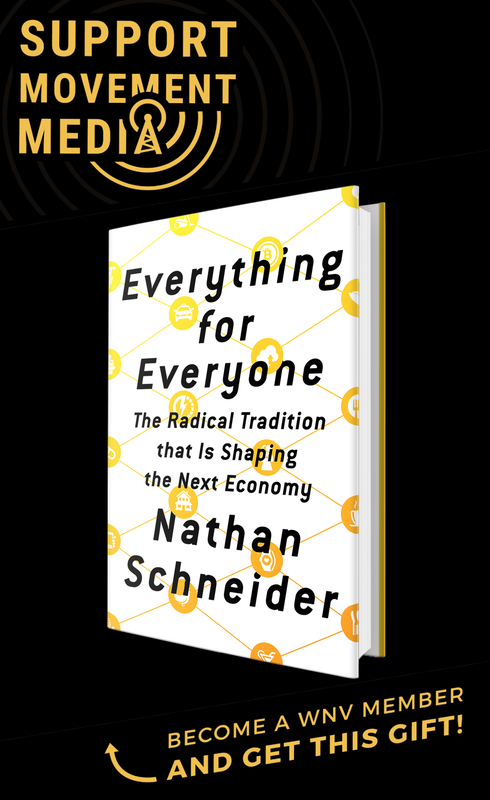 My itinerary was shaped by an interest in two companies: Corporate Office Properties Trust, or COPT, a real estate company dedicated to building office properties and data centers for defense contractors, and Amazon, which has fundamentally changed how people live on the Internet — and where the Internet lives. Convenience and history led both companies, and me, to northern Virginia. Northern Virginia is home to the Dulles Technology Corridor, a region named for its international airport and its many defense and technology contractors. Partly because of its proximity to Department of Defense outposts, by the early 1990s the region was already home to a major piece of the Internet’s backbone, the network of fiber optic trunk lines and core routers that directs data through the web. In 1992 Virginia’s Loudoun County became home to MAE-East, one of the first Internet exchange points. Being close to the backbone and to an Internet exchange point buys data centers milliseconds of advantage over competitors. In an industry obsessed with efficiency, milliseconds matter. 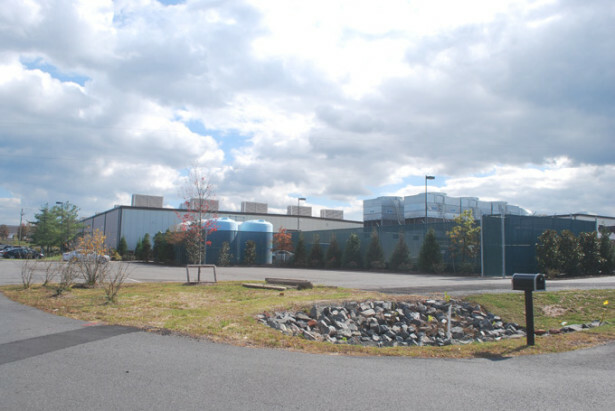 Loudoun County offers a number of incentives to data centers: A brochure notes that local power rates for industrial use are 28 percent below the national average, and Virginia provides retail and use-tax exemptions for “computer equipment, chillers, and backup generators.” Data centers have contributed to the region’s tax base; according to 2012 census data, Loudoun County had the highest median income in the United States (among counties with a population of 65,000 or greater), at $118,934 per year. An estimated 70 percent of Internet traffic goes through Loudoun County’s 5.2 million square feet of data centers every day. While the bizarre office temples I previously visited in Maryland’s National Business Park at least hinted at human life, the Virginia landscape revealed architecture and aesthetics optimized for machines. My presence would have been disruptive were it not so obviously diminutive; to these inscrutable black boxes of information and the sprawling landscape that they inhabit, I was a forgettable data point passing through an infinite stream. 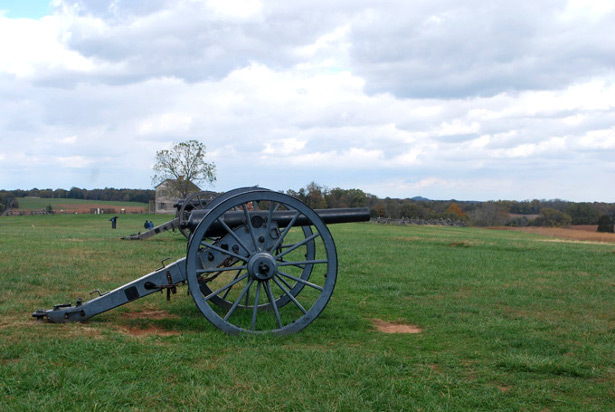 After visiting DC-6, I took a brief detour to Manassas National Battlefield Park, a site commemorating the first battle of the American Civil War. Manassas was also the original code name for the NSA counter-encryption program known as Bullrun, now named after another Civil War battle. Again I was struck by the uneasy resonance of the surveillance landscape, where large pieces of infrastructure in the new global battlefield are adjacent to battlefields from a very different conflict. It makes a weird kind of sense for catacombs of data to reside in a region full of ghosts. In January 2013 COPT announced that it had purchased a 34-acre site in Loudon County, Va., for $14 million. Amazon was to be its primary tenant. In March 2013, Amazon announced that it had secured a $600 million contract with the CIA to provide the intelligence agency cloud computing services. Since the CIA contract is for private services within existing CIA data centers, it’s unlikely that this center under construction is “the” CIA-Amazon data center. However, Amazon job descriptions for engineering operations technicians in Ashburn, Va., require applicants to “obtain and maintain a Top Secret security clearance with Sensitive Compartmented Information (TS/SCI) eligibility and access” (a requirement not included on listings for the same position in other cities). Perhaps COPT’s new Amazon data center is slated to be part of AWS GovCloud — cloud services that Amazon has designed to meet specific U.S. government compliance standards, such as the International Traffic in Arms Regulations. 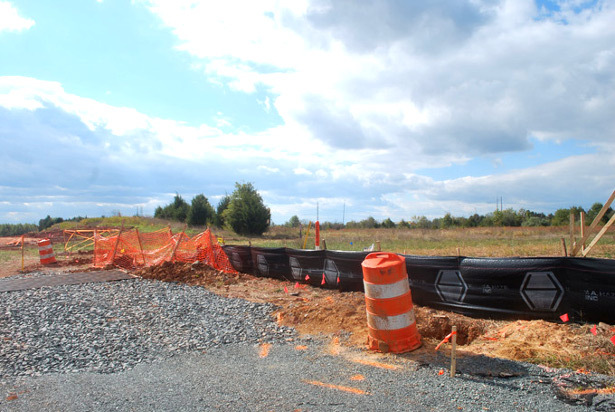 A brochure advertising the parcel of Ashburn land highlights the site’s many benefits for data center construction, including its proximity to three power substations and a transmission line, as well as the Loudoun County water plant, which offers “reclaimed water available for cooling systems on-site.” The property is also extremely close to several Internet exchanges and other data centers. A recent article about COPT’s data centers indicates that the first part of the compound has been built, but when I visited the site, it was still mostly dirt. In a lot across from the site, a strangely suburban condominium complex was going up. The new buildings were part of Ashby Ponds, an assisted-living community. It made some sense that new housing would be for the retired and not for a workforce. 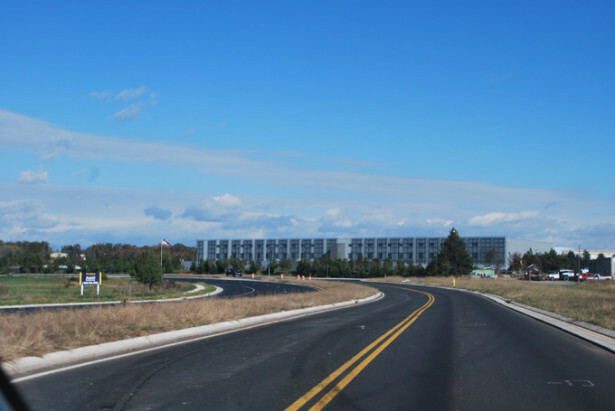 COPT’s new construction is estimated to bring $300 million in investment to Loudoun County but only 45 jobs. This construction boom isn’t welcomed by everyone. Western Loudoun County is a more rural area, connected to Virginia’s agriculture industry. 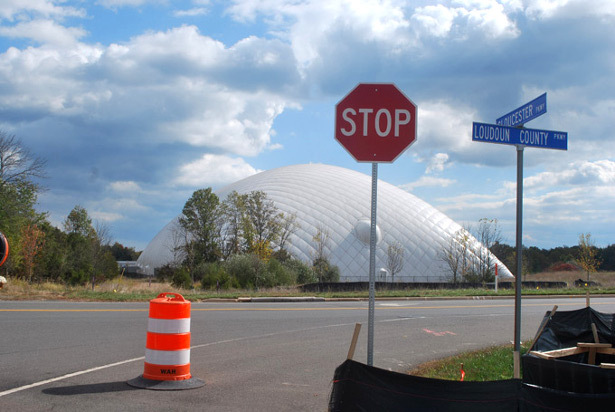 In 2005 there was talk of the western part of the county seceding from Loudoun because of zoning-law changes that threatened to expand development. Advocates of secession eventually backed off, but conflict over development continues to divide the county. The construction shaping the landscape of northern Virginia is instrumental to the landscape of the Internet itself, but it’s not easy to draw a line from the physical properties where the web is maintained to news stories about mass data collection. What’s at stake for people living in data center growth regions — their homes, jobs and way of life — feels worlds away from political arguments about what’s being done with the data in those centers. And yet these conflicts are connected, by strands of fiber optic cable and by the strange faith that the physical growth of an increasingly concentrated and controlled network will somehow lead to economic growth benefiting the general public. Although I thought of this as one of the more intimidating sites on my itinerary, it proved to be the smallest and the closest to a semblance of civilization. It was next to a pet resort, down the road from a mall and a short drive away from Raytheon offices. No signs identified the building’s tenant. The only logos I noticed were those of Caterpillar, which were on the generators, and Allied Barton, which was on the badge of the security guard who eventually asked me to stop taking photos. This more or less concluded the day’s expedition. I returned home and retraced my steps with my phone, which had been quietly collecting my location data all day and sending it to a Google server somewhere, possibly in northern Virginia. While I had struggled to seek out pieces of the cloud, the cloud kept a pretty good pulse on my location. Data takes up space. The space it takes up — and the water, land and electricity that get used in taking it up — remains, for the most part, out of sight, out of mind and utterly uninteresting to actually look at. There are exceptions to this inaccessibility, in particular the Internet Archive, which has installed its servers within its public community space. Such exceptions to the rule illustrate that the veneer of secrecy around data center geography is a choice, one that further estranges users from their own data. Lifting the fog that surrounds the cloud isn’t a matter merely of locating many nondescript buildings but of looking at all the other elements that make its many particles crystallize. Mass surveillance in the United States is a complex public-private partnership, and the data-industrial complex is but one of its sprawling pieces. Beneath headlines about the spooks of the surveillance state are normal, non-spooky humans in normal, non-spooky places — engineers working at colocation centers used by defense contractors, county economic development offices looking to expand the local tax base, real estate companies looking to get into a new market, energy companies that welcome the profits born of an industry that uses more electricity than some small nations. None of these normal, non-spooky humans are directly responsible for the rise of mass surveillance, but they are instrumental in maintaining the surveillance apparatus. None of the infrastructure that they work with has to, by design, function as an instrument of surveillance. Funding for government cloud infrastructure could prioritize uses other than the intelligence community and law enforcement (like the use of AWS cloud services by NASA to make climate data sets publicly available). Companies could be compelled by regulatory bodies to treat privacy as a user’s right and not as an optional commodity. Internet infrastructure could be treated like the actual infrastructure it is — like highways, like water management, like food safety, like something that the public has a right to understand and that its proprietors have a responsibility to explain transparently. In trying to see where data lives, I hoped to better understand how we live with data and, by extension, with the myriad forms of surveillance that it enables. We live with data by pretending that we don’t. The opacity of Internet infrastructure and policy — and the insistence that ideally users shouldn’t need to see or understand either — occludes data, the institutions that hold it and the power they exercise with it. Ultimately, in a geography of power, the cloud is not the territory. Developed in collaboration with Creative Time Reports and also published there.